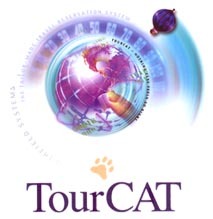 TourCAT, The Tour Operators Comprehensive Reservation System specifically developed to meet the unique needs of the Tour Operator. TourCAT is a system which, from a single comprehensive database, is designed to deal quickly and effortlessly with the volume of a core package holiday business as well as the increasingly sophisticated itinerary-building demands of the growing tailor-made travel sector. Irrespective of the size of your business, the markets in which you specialise or the range of your travel products, TourCAT will make an immediate contribution. From the day your new system goes live, TourCAT will give you much tighter control of your business and its operating efficiency and will have a positive impact on the quality and scope of management and marketing information available to you. The core TourCAT system comprises seven key modules: Database / Reservations / Operations & Documentation / Fully Integrated Accounts / Management & Statistical Information / Systems Management / Viewdata. TourCAT combines functionality with affordability. Whether you are a single user business or you require a network of 1,000 terminals. TourCAT offers a cost-effective solution to your needs. Click here for more information on our TourCAT product.